Marcus is a big boy now! 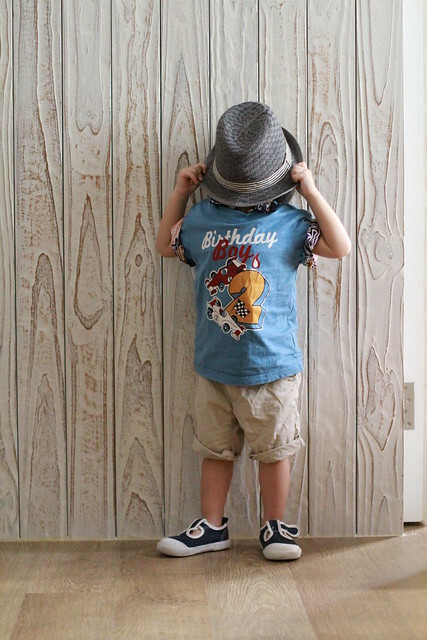 He goes to pre-nursery, he can do a thumbs-up, he can say lots of cute stuff, he throws temper a lot (uh huh), he's very active, and to mama, he will always be the cutest! 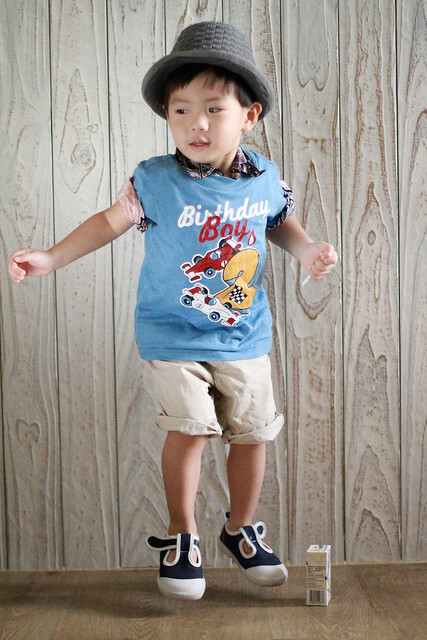 His awesome Birthday Boy 2 year old tee is from Strawberry Babies. 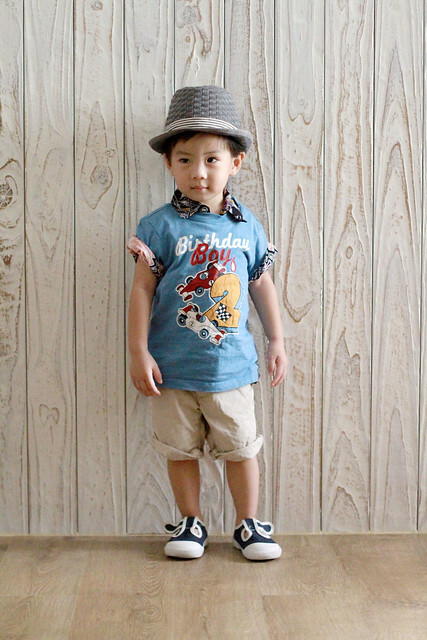 Visit their FB page if you wanna order, they have lots of cute preppy stuff for girls and boys! Thank you so much, Strawberry Babies, Marcus loves the tee! 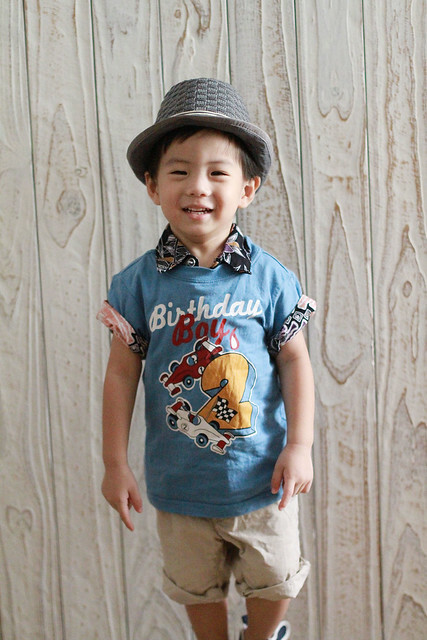 Bday tee's worn with Batik shirt from Indonesia, H&M pants, fedora & shoes.